My name is Jamie Rautenberg and I’ve been on a fairly twisted road to recovering my mind, body, and spirit from a lifetime of chronic illness, stigmatizing medical misdiagnoses, and distressing medical procedures. I know what it’s like to be in the dark about what’s happening inside our body and the trauma involved in uncovering the root of the pain. I believe that the mind and body are connected and influence each other in ways in which we are not always conscious. If our minds are too overwhelmed to process the crises and traumas we experience in life, the body will remember it. We may then experience worsening symptoms and an inability to fully heal. The symptoms can range from minor aches to full-blown disease if we aren’t careful to acknowledge the call for change. Thankfully, I heard the call, but I spent a lot of time searching for answers outside of myself. I hopped from doctor to specialist to surgeon through an ever-revolving door that produced no hope of relief. I felt lost, confused, lonely, angry, and ashamed. All I wanted was a “normal” life and despite my best efforts to lead one, I could not ignore the cries of my body. Finally, I decided to take personal responsibility for my own healing and become the expert on my body. Through a ton of research and sheer will, I began to connect the dots of my body’s breakdown. Eventually, in March 2013, I discovered that I’d been living with late-stage neurological Lyme Disease, as well as a handful of debilitating co-infections and viruses, for possibly my entire life. After digesting the news, it was time to heal. I’ve learned a myriad of lessons along this healing path, and that’s why I created The Daily Infusion. I believe that we have a right to choose our own treatment without judgement or fear, and that we have the power to intuit what’s right for ourselves and our bodies. It’s my honor to guide and empower those who may find themselves in the very same place of despair that I experienced for so long. I know what it’s like to feel lost inside disease and I know what it’s like to find myself through it. When we are willing to become an active participant in our healing, unexpected transformation can and does happen. You are not your diagnosis. You have the power to reclaim your health, create wellness, and transform your life. I look forward to sharing my personal arsenal of healing tools with you and offering my professional support and encouragement, wherever you may be on your path. Jamie is an intuitive counselor & Licensed Clinical Social Worker with a Masters of Social Work from Fordham University and a Bachelor of Fine Arts from New York University’s Tisch School of the Arts. She’s worked as a counselor at Albert Einstein College of Medicine Division of Substance Abuse & Realization Center, one of NYC’s largest outpatient addiction treatment centers. She’s also been a staff therapist at Blanton-Peale Institute & Counseling Center in New York City, co-founded by Dr. Norman Vincent Peale, author of The Power of Positive Thinking. 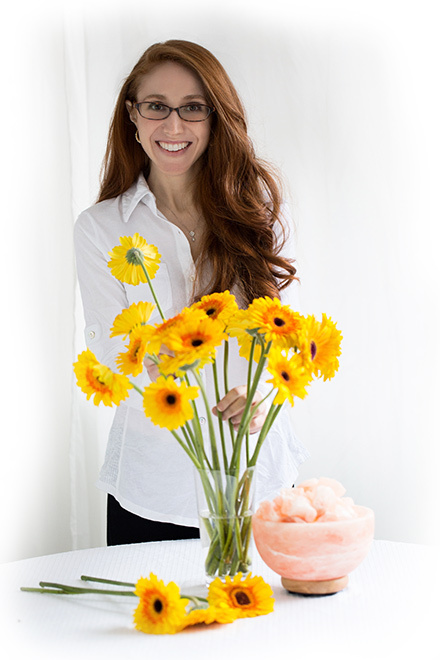 She is currently a contributor to The Hufffington Post, Elephant Journal & MindBodyGreen.com. Jamie blends her creative background, healing experiences, and professional education & practice to utilize an eclectic counseling approach to best meet her client’s individual needs. Contact Jamie to explore the benefits of supportive counseling and determine if she is the right fit for you.